A natural creative producing art at it’s very best, we just had to bring a selection of Rebecca Sophie Leigh’s unframed prints to the Rockett St George art collection so that you could get your hands on her artwork too! 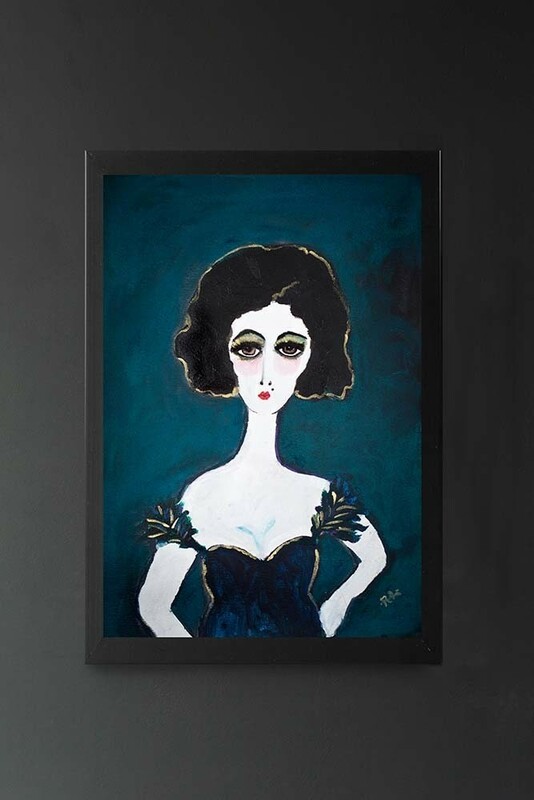 A ‘stop you in your tracks’ piece; the Ella Art Print is evocative of modern, naive impressionist style with intricate brush strokes, divine detailing and a brilliant mix of subtle colour. The fabulous Lady in Blue with dramatic eye shadow and a killer pout catches the eye and makes us want to know more about Ella and her story! 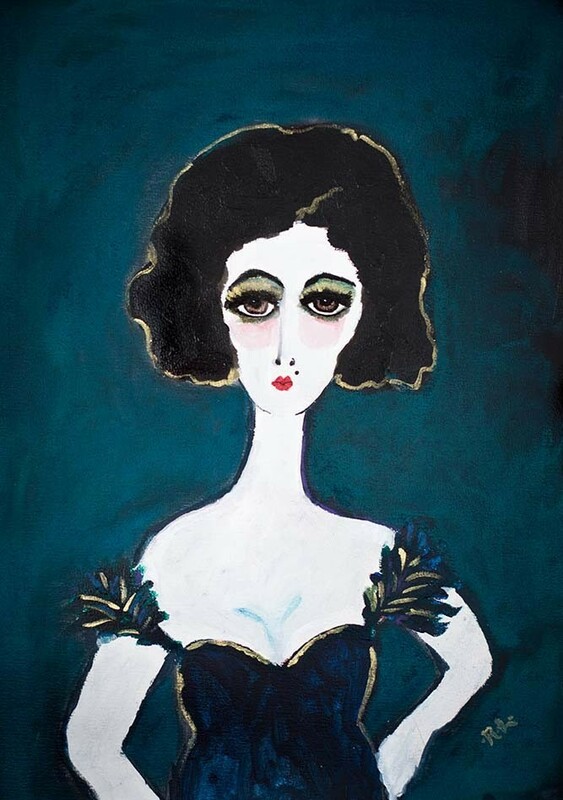 Eclectic and unique, the Ella Art Print by Rebecca Sophie Leigh is statement artwork like no other and undoubtedly will inject personality and interest into your home.